Forests are home to millions of species, from grizzly bears to orangutans, tiny birds, lichen and countless insects. Large, intact forest systems are also home to vital carbon sinks and enormous freshwater reserves. And too often, they’re home to resource-extraction practices that threaten to destroy them. Today, we are losing our old-growth forests to logging at an alarming rate. 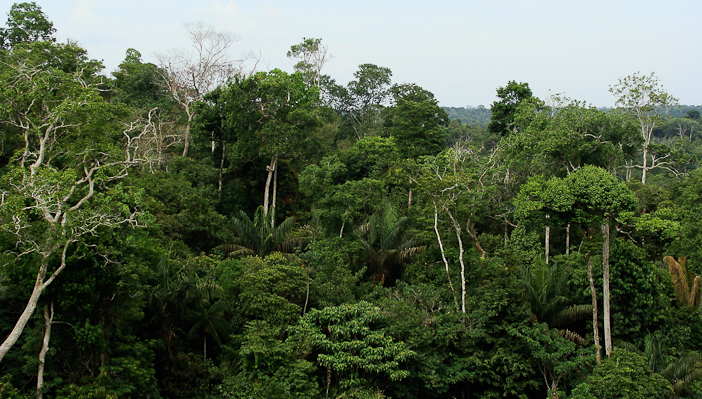 Eighty percent of the world’s original forests have already been logged. Most of the remaining large tracts of unexploited forest are contained in just three countries: Canada, Russia, and Brazil. Rainforest canopy in Manuas, Brazil. Photo by Ben Sutherland. BC-based Salt Spring Coffee roasts to inspire positive change. They recognize the impact the coffee industry has on farmers and ecosystems; the connection between birds, coffee plants and forests is integral to produce the finest brew. Without the lush forest canopy, migratory birds would not be able to help control insects or fertilize soils at the coffee plantations. Through its 1% for the Planet membership, Salt Spring Coffee is partnering with Canopy, an award winning environmental non-profit organization, to support their work with the landmark Great Bear Rainforest Agreement. Coastal BC old growth. Photo by TJ Watt. Canopy harnesses the power of the marketplace to keep our world’s forests and species vibrant and our climate stable. 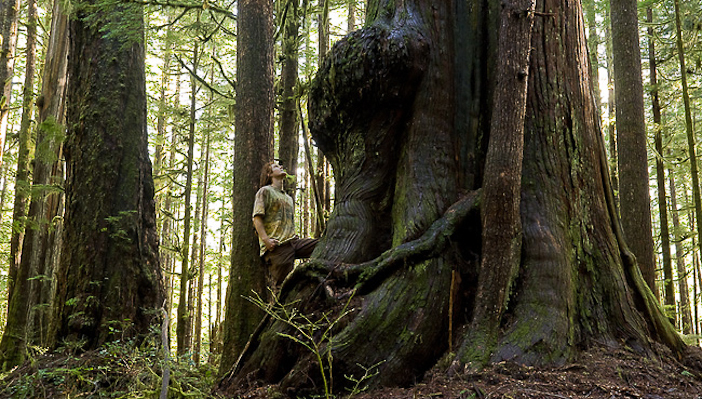 Old growth temperate rainforests like Canada’s invaluable Great Bear are second to no other ecosystem in the amount of carbon stored per hectare. By redirecting corporate buyers away from products containing virgin tree fiber that originates from endangered forests, Canopy addresses the problem of forest loss at its core: consumption. With the forest and its lush canopy protected, birds will continue to make their long migratory journey each year to the coffee-growing regions around the globe. Salt Spring Coffee’s Canopy Bird campaign will help protect these endangered forests, keeping them intact for bird habitat and providing cover for these flavourful shade-grown coffee beans. Stay tuned for the launch in May 2014. Canopy is a not-for-profit environmental organization dedicated to protecting forests, species and climate. Canopy collaborates with more than 700 companies to develop innovative solutions, make their supply chains more sustainable and help protect our world’s remaining ancient and endangered forests. Salt Spring Coffee was founded in 1996 on Salt Spring Island by Mickey McLeod and his wife Robbyn Scott. Its fresh-roasted coffee is now distributed and served across Canada. In British Columbia, Salt Spring Coffee can be found in over 300 cafés, restaurants, and grocery and specialty food stores. The company remains committed to its island roots: forming partnerships with farmers who grow quality coffee sustainably, pioneering environmentally-friendly standards and techniques, and fostering a team of expert roasters and baristas who get the most out of every bean. Year by year, cup by cup, Salt Spring Coffee is cultivating a world-wide coffee community devoted to change. Reblogged from One Percent for the Planet.